Ahead of the launch of The Force Awakens at the end of this year, Disney, Lucasfilm and 20th Century Fox are bringing all six Star Wars films to widely used digital platforms for the first time. The films will be available globally, in high definition, from April 10th. 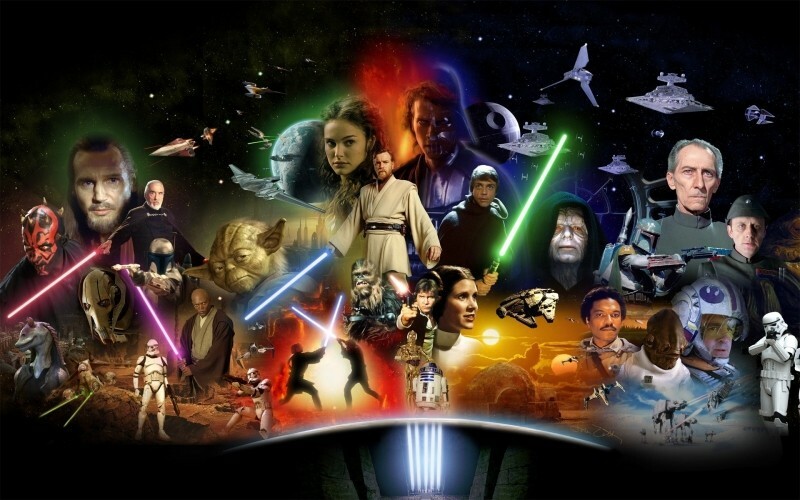 The digital platforms set to get all six Star Wars movies include iTunes, Google Play Movies and Xbox Video. Fans will have the ability to purchase each film individually, or all six as a discounted bundle as part of the Star Wars Digital Movie Collection. All six films come with a collection of bonus features (depending on the retailer) including interviews, deleted scenes, special behind-the-scenes documentaries and more. However, the movies themselves appear to be the same versions found on Blu-ray, meaning they include all of George Lucas' controversial touch-ups to the original trilogy. While some digital stores are yet to reveal their pricing, Google Play has already put up pages to purchase the films. Individual Star Wars movies will set you back $19.99, while the full six film collection will cost you $99. This isn't the cheapest for a digital movie, but pricing is comparable to Blu-ray copies from Amazon. If you purchase the films through Xbox Video, on top of an exclusive featurette you'll get a free R2-D2 companion for your Xbox Live avatar, as well as a pinball table for Pinball FX 2.